In 1993, a video gamer was most likely a Sega or Nintendo fan. The two Japanese brands had dominated the fourth generation of video games with two consoles that eventually sold close to a 100 million units worldwide. As a 14 year-old Sega Mega Drive owner, I couldn’t imagine a world where I wasn’t Sega, and their mascot Sonic the Hedgehog, through and through. My friends at school all had one of these two brands hooked up to a TV at home, or if they were lucky, the more expensive Commodore Amiga, and it dominated our daily conversations. A year later I would be reading EDGE magazine and coveting the soon to be released Playstation 1. It was the pivotal moment where games grew up, luckily for me, just as I did too. Instead of leaving them behind as my older brother had, they evolved with me. Sony Playstation marked the beginning of the fifth generation of video games and it was the first time there was a brand which wasn’t inherently aimed at children. It was then, and in my opinion still is now, the landmark gaming brand. Sony had entered the market and thought about who their gamer could be, and how to engage them in a much broader way than their competitors. All details were considered, right down to the design of the controller buttons. Gone were the ABC or brightly coloured dots of past consoles, replaced by four distinctive shapes which would go on to be widely used in their at times controversial advertising. From button up the Playstation had attitude. This was reflected in print and TV adverts throughout the 1990s which surprised, amused and scandalised, winning rafts of awards in the process. The brand poked fun at religion, sport and the world of boring adulthood with a rock’n’roll feeling never seen in the nerdy world of games. The Playstation took gaming mainstream and four generations of this console on, it and XBOX, which joined the party in 2001, are still slugging it out as the leading game brands. 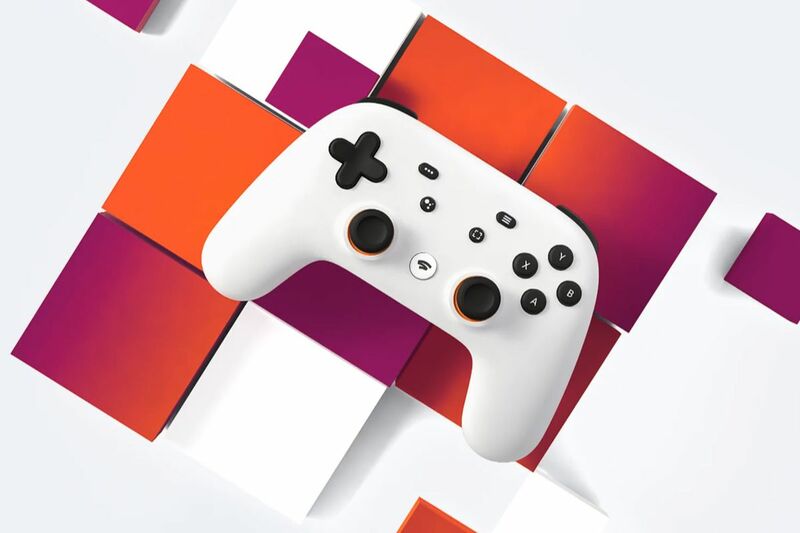 Against this backdrop, 25 years after Playstation launched, Google has announced Stadia – its new gaming platform. At time of launch there isn’t much to go on beyond a name, two films, a controller and one game – Doom Eternal. The launch videos clearly give us the two part proposition. Firstly games are not just played, but also watched. We’ve watched games for millennia and video games are no different.